The technologies around CGI and Augmented Reality (AR) are getting more and more attention and are getting better and better. Many companies are experimenting with new ways to use these technologies. Especially in the field of advertising. Not just since yesterday, with the help of CGI, a reality is created which probably would never exist like this in the real world. Many images that we encounter today are the result of photography, CGI and image editing. So-called hybrid images are created virtually on the computer, at least parts of them. Hybrid CGI is used in many areas today. For it offers a lot of advantages, starting with the endless creativity, the high flexibility and of course the cost factor. And not only with conventional advertising and product images. For example, Virtual Staging has become established itself for real estate images. Also a form of hybrid images. CGI has been playing an increasingly important role in various areas for years, for example in product advertising or virtual staging. Here, a combination of photography and CGI is nothing exceptional. And along with image editing, fantastic results are created: hybrid images that merge reality and virtuality. And in autumn, the new campaign of Balmain, a French fashion company, caused a stir. Because the company uses only computer-generated models. Balmain’s so-called “virtual army” consists of the digital model Shudu, created by photographer and visual artist Cameron-James Wilson and already an Instagram phenomenon, and two other CGI models called Margot and Zhi. Augmented Reality is also experiencing a boom in advertising. In July 2018, Facebook has given advertisers the opportunity to place AR ads in the News Feed. These look like regular in-feed ads, but include a “Tap to try on” option which opens up the AR features. Using the smartphone cameras, it lets people, for example, virtually try on sunglasses on themselves or place furniture in digital form in their homes. Several brands like Michael Kors, Wayfair, Pottery Barn, Sephora and others are already taking advantage of the new tool. Facebook is not the only company connecting shopping and AR. In 2017, there was already an AR from BMW at Snapchat. And this year, Snapchat connected AR shopping ads to their commercial lenses, blending users selfies with commerce. The New York Times also experimented with AR. An AR banner ad for BMW allowed users to walk through a portal into another dimension. And the Wall Street Journal featured an AR banner ad from Nespresso. Which allowed consumers to place a coffee machine on any flat surface. AR ads are still rare, but their number is increasing. Several furniture and home decor retailers take advantage of Augmented Reality via their mobile apps. Recently Houzz, a website and online community about architecture and interior design, has expanded their augmented reality tool “View in My Room” in the Houzz app with 3D capabilities. To give users the ability to see what products look like in their homes. IKEA launched an app called “IKEA Place”, which lets user virtually place IKEA products in their spaces. The furniture and home decor brands Pottery Barn and West Elm are testing a 3D room planner that will let consumers mix and match the products of both brands. 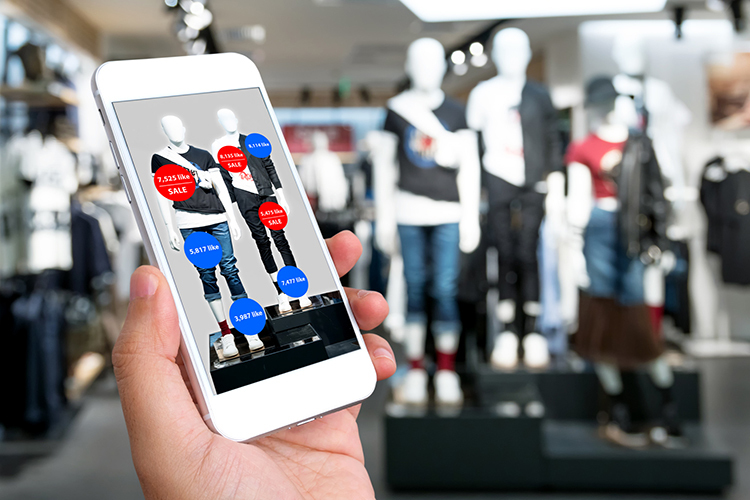 The Swiss startup Scandit offers retailers the opportunity to integrate augmented reality functions into their apps with the software “Scandit Retail”. To provide a better shopping experience to customers in stores. Nike and dm in Germany, Carrefour and coop in other European countries, and Macy’s in the US already use this feature in their apps. Just like CGI, Augmented Reality has great potential and offers many great opportunities. And is suitable for many different products, from accessories, and clothing, furniture, decorations, to cars and more. Customers want to know how products look “in real life”. AR answers this in a visual, personalised way. Traditional product images show, for example, clothes on models, furniture and decorations in an appropriate environment. Even if the pictures are perfect. It is something completely different when customers can try on products themselves and test them in their own home. Augmented Reality significantly improves the customer experience. The better people can visualise products, the more likely they are to buy them. At the same time, they interact much more with the products and brands. They share photos, tag their friends, and ask for opinions. Creating the appropriate source material, suitable images, is an important prerequisite to be able to use the technologies properly. Pictures of the highest quality, which, for example, show the products from all sides, are necessary. Just like high-quality CGI models and virtual visualisations. Perfect images, be it real photographs, hybrid images or created completely in CGI, are indispensable today and in the future. What creates new challenges for images editing. How we master this, you can see here. 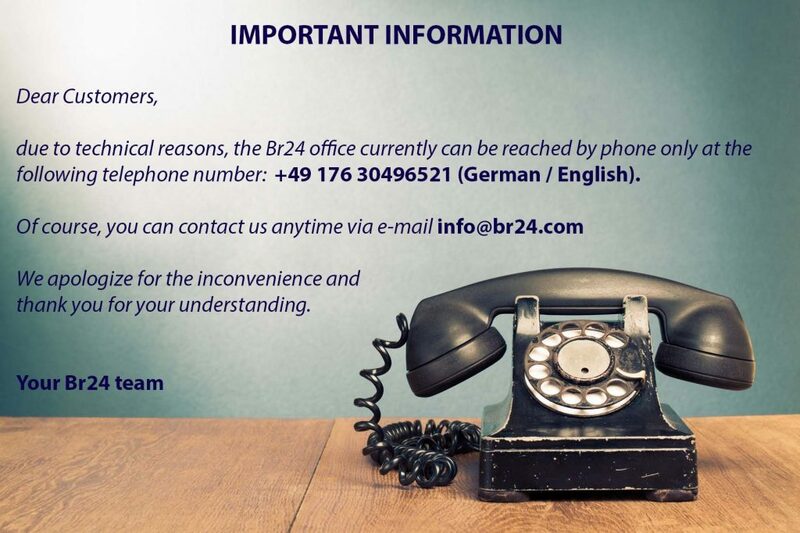 Br24 – Whether real or virtual, with us, your images are always perfect!